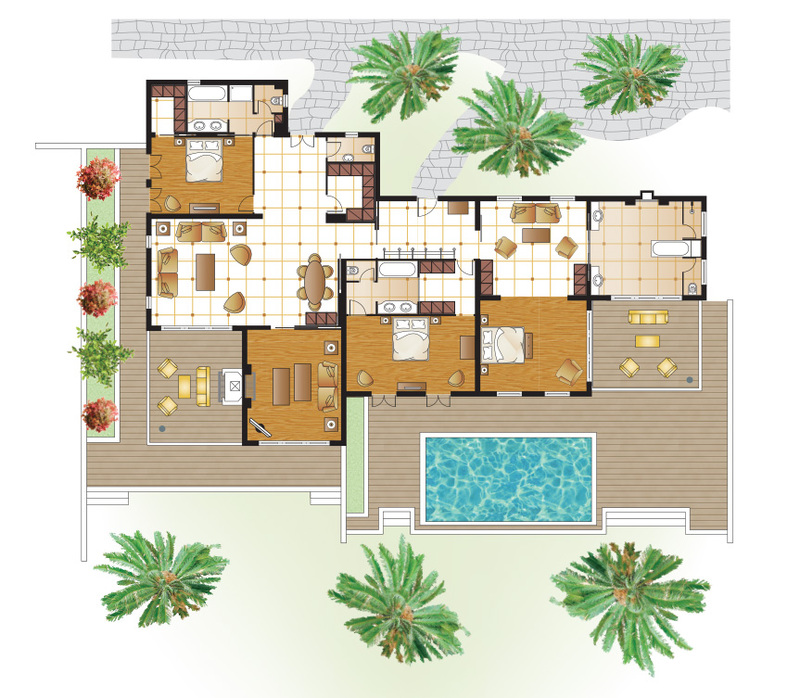 A superb residence in a very convenient location within the resort, yet extremely private. Layout: Three Master Bedroom Suites. Separate living and dining areas. Separate outdoor living area. Kitchen. TV and games salon. Two entrances. Bath: Three bathrooms & separate WC. One luxurious marble en-suite Master bathroom with imposing deep soaking Jacuzzi, aromatherapy, colour-therapy bathtub, two wash basins and a separate shower cabin. One marble bathroom with two wash basins, bathtub and separate shower cabin. One bathroom with two wash basins and bathtub. Express VIP Check-in & Check-out. Late check-out (upon availability).